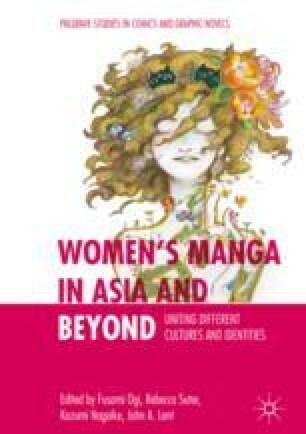 This chapter is to examine the trajectory of the representation of gender identity and consumer practices in Japan in the 1980s and 1990s as illustrated by the changes seen in an important element of popular culture: manga. Reviewing the manga of Kyoko Okazaki (born in 1963), this chapter discusses how the gender identity of young Japanese women was accommodated in the advent of Japanese consumer society. In conclusion, I argue that Okazaki’s material girls in her works demonstrate a lack of awareness of social class, gender, race, and other ‘social’ matters, as they are concerned solely about the personal rather than the social, criticizing feminine selves in the course of ‘flat culture’ (Endō, Jyoron: furatto karuchâ wo kangaeru (Introduction: Thinking about the Flat Culture). In Furatto karuchā: gendai nihon no shakaigaku (The Flat Culture: A Sociology of Contemporary Japan), ed. T. Endō. Serika Shobō: Tokyo, 2010) in contemporary Japanese society.